Find YAI's supports and services. Availability and eligibility will vary. For more information about applying for a service and availability please call YAI LINK at 212.273.6182. 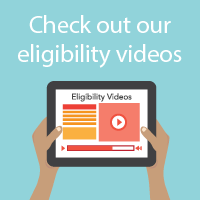 You can also review our Eligibility FAQ or take our short Eligibility Survey to find out if you are likely eligible for YAI services funded through the Office for People With Developmental Disabilities (OPWDD). Please feel free to call us at 212.273.6182 if you need further help understanding how to access supports and services. Day Habilitation offers individualized and group activities designed to teach life skills, build relationships, promote independence, and provide engagement in the community. These programs offer recreation activities and socialization opportunities for people, ages 16 and up. Social Skills Building Network is a prevocational program that runs year-round groups for adults 18 and over (with or without diagnoses) that teaches and improves micro and macro skills in areas that are vital to success in the workplace, college, or everyday interactions. Offered in Wayne and Parsippany. The program Broader Horizons is a community-based recreational program for adults primarily with autism spectrum disorders. The program offers the opportunity for people to make friends and socialize through group activities. It provides a supportive and supervised environment in which participants can expand their social circles and become active members of the community. Participants will enjoy leisure and recreational activities that will focus on improving and developing self-esteem, maturity, and independence. This program prepares participants for competitive employment through pre-vocational and day habilitation internships and volunteer opportunities at various sites throughout the community. Job coaches provide participants with on-site support to ensure success. This program offers recreational activities for people, ages 16 and up. Activities include arts and crafts, drama groups, trips, ball games, and other community events. Limited transportation available. A recreation program providing community-based leisure activities to encourage and promote independence for people, ages 17 and up. Employment services provide job-skills training, resume development, interview preparation, application assistance, intensive job-coaching and follow-along support to people with intellectual and/or developmental disabilities (I/DD) who wish to obtain and maintain competitive employment. This program prepares people for competitive employment through pre-vocational and day habilitation internships, as well as volunteer opportunities at various sites throughout the community. Job coaches provide participants with on-site support to ensure success. Hankering For More's primary goal is to help its adult members spark social connections with peers that allow them to create and maintain their own social network without staff support and outside of formal HFM events. Comprehensive training to prepare adults with a mild disability to live as independently as possible. Monthly group meetings are provided for parents/caregivers to assist them in supporting their relative in transition to greater independence. Leisure Trax offers adults with developmental and learning disabilities vacation and travel opportunities, including weekend trips and extended vacations with domestic and international destinations. Free travel (some trips) offered to eligible people who reside in the Bronx. In partnership with the Frost Valley YMCA sleepaway camp, YAI/NIPD offers an award-winning inclusive camping experience in the Catskills to children and teens with developmental and learning disabilities, ages 8 and up. The Pre-Vocational Program provides services to people who at some point would like employment. The program focuses on partcipants' employability and socialization skills by introducing them them to various internships and volunteer sites. In order for an adult to engage in sexual activity with another adult, legally each person must be able to provide informed consent. Being able to provide informed consent is normally automatic based upon attaining a legal age as mandated in each state. However, if a person has an intellectual/developmental disability, the courts will defer to professionals in our field to make that determination. Sexual consent determinations can only be done with people who are the age of legal consent or older (in New York State the legal age is 17). Vocational services provide a wide range of supports to assist in finding and maintaining employment. These include: tutoring, vocational and comprehensive assessment, job skills training, resume writing, interview prep, application assistance and vocational benefits advisement, vocational counseling, job development, placement, and job coaching. These supports and services are designed to assist participants with a variety of disabilities in reaching their vocational goals. Vocational services are offered in: Rockland, Westchester, Orange, Dutchess, Ulster, Sullivan, and Putnam Counties. Employment services offer vocational and comprehensive assessment, tutoring and job development, placement, and coaching designed to assist people with a variety of disabilities in reaching their vocational goals. Providing free diagnostic evaluations for Brooklyn, Queens, and Manhattan residents. Eligibility criteria varies with different boros, but all applicants must not be eligible for Medicaid. The emphasis of day habilitation is participation in the larger community. Most activities occur outside of the day habilitation walls. By participating as volunteers at various organizations, participants have daily opportunities to develop skills, including safe travel using public transportation and community integration. The Coffeehouse program for adults provides an environment where participants can expand their social circles and become active members of the community. The program includes activities focusing on improving self-esteem, maturity and independence.